Discover the simple techniques of pyrography as you stand alongside one of today's finest woodburning artists Sue Walters. 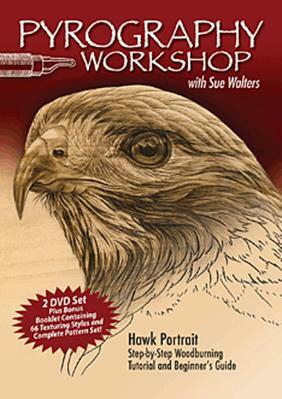 Ideal for the beginner or for any wood burners looking to improve their skills Pyrography Workshop with Sue Walters is like having a private tutoring session. In addition to learning all of the basics of wood burning you also will receive 10 detailed lessons that culminate in the completion of a stunning hawk project.